Beautiful, Clean, Well Maintained One Owner Home * 3 Bedrooms * 2 Baths * Sun Room * 79.31 Acres M/L * Approx. 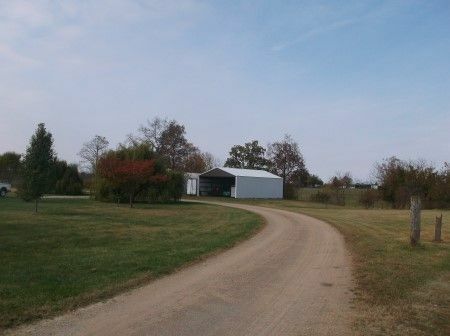 75 Fenced * Privacy & Seclusing just miles from Clarksburg & US Rt 35! Abundant frontage on Asbury Road, Martin Road & Tootle Lane! 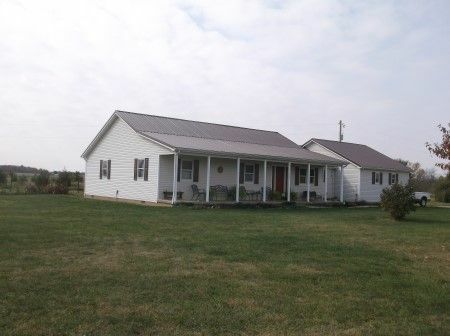 Wonderful 3 bedroom, 2 bath home with 2 car garage w/opener; kitchen w/hardwood floors, Cherry cabinets; spacious living room with access to patio & sunroom; dining room; property comprrised of 79.31 acres w/approx 75 fenced; pond; live stream; cattle barn w/head gate & handling system; 3 sided pole barn & quonset bldg. w/concerte floor & electric. Abundant frontage on Asbury Rd., Martin Rd. & Tootle Lane. Taxes & Legal: Ross Co., Deerfield Twp., Adena LSC; Net Annual Tax: $2870.08; Parcels 090703094000, 0907030060000 & 090703004000. James & Charla Tootle, Sellers, Kyles Jones, Atty.